Where Is the Hashtag for Blue Ivy? While debate continues about what impact it will ultimately have in the real world in the long run, there is no doubt that the #YesAllWomen hashtag struck a chord. Specifically, it struck a chord with those who saw the violence perpetrated by Elliot Rodger as emblematic of a larger societal issue, namely the misogyny that harms women both physically and emotionally. But while dehumanizing language and behavior directed at women by men is certainly a serious societal problem, so is dehumanizing language and behavior directed at women by other women. I was reminded of this upon reading that someone had launched a Change.org petition targeting the hairstyle of pop star Beyoncé’s toddler daughter, Blue Ivy. My first reaction upon reading about the petition was to double-check that I wasn’t reading a headline from the satirical paper The Onion. My next reaction was to think, “Thank goodness this didn’t happen to me as a toddler. My mother would probably still be in jail after hunting down the mastermind of this petition.” But my final thought was, “How has it come to this?” How have we become a culture in which it is considered acceptable to ridicule the appearance of someone’s child in the name of disagreement, or even so-called humor, as the creator of the petition ultimately claimed this weekend? 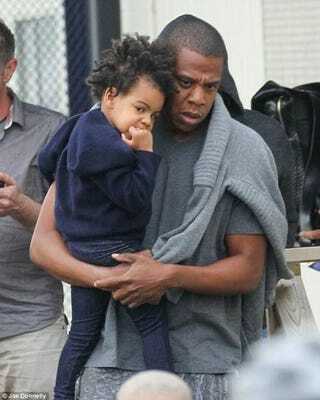 But Blue Ivy is far from the only victim. Anyone in the public eye—and these days that can include anyone with an Instagram account—will face criticism. Not everyone is going to love what you do or say. But the difference between men and women in the public eye is that while men will face criticism, women will specifically face criticism for their appearance. The other difference between men and women in the public eye is that when it comes to the biggest critics of a woman’s appearance, women are usually the worst culprits. Men were not the ones lining up on Twitter to bash Olympic trailblazer Gabby Douglas’ hair—while she was in the middle of making history. Similarly, men are not the ones who tweet or email my website directly about what’s wrong with my own hair—or lipstick color—when I appear on television. (Yes, I have received emails specifically critiquing my choice of lip color.) Women do that. My larger point is this. Don Imus degrades the Rutgers women’s basketball team and we all, rightly, demand accountability. Rush Limbaugh calls Sandra Fluke a slur and we all, rightly, rush to her defense and again collectively demand accountability. But women, particularly online, are far less kind to one another than either of these two men have been, and yet I have not heard of any collective movement or hashtag to demand accountability and an end to such language and behavior. Misogyny is certainly a very real problem. But if you ask the average teen girl who she fears more in her high school, a clique of mean girls or a clique of mean guys, my guess is the answer is not going to be those “misogynists.” It’s going to be the girls who can torment her not only in the hallways at school but online afterward. It’s just a shame that some women don’t leave that behavior in high school. It’s also a shame that more women would rather tweet about the bad behavior of men than have an honest conversation about how we can stop the bad behavior of women. If someone wants to create a hashtag about that, I’m all for it.